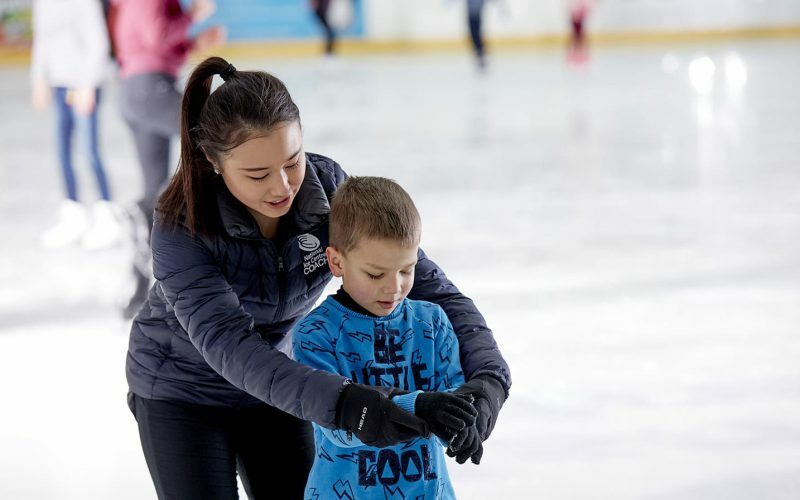 Our intensive programme includes basic training of on ice and off ice skills tailored to different ice skating disciplines. On ice sessions include: Basic Edges that focus on ice skating fundamentals – correct edges, steps and turns needed to progress towards the variety of more complex footwork, and a Technical session that includes an introduction to technical elements, such as jumps and spins as well as preparation exercises for specific technical elements. Off ice sessions include warm ups recommended for skaters, specific off ice that involves off ice simulation of technical elements, cool down and flexibility. During the registration skaters will have the option to choose their lunch from the menu, which is included in the price. Minimum grade required is a pass at Skate UK Level 6 up to skaters that have not yet passed Field Moves level 1. Children under 9 years and skaters requiring assistance must be accompanied by an adult. Skaters must wear suitable clothing for figure skating training and have their own skates.